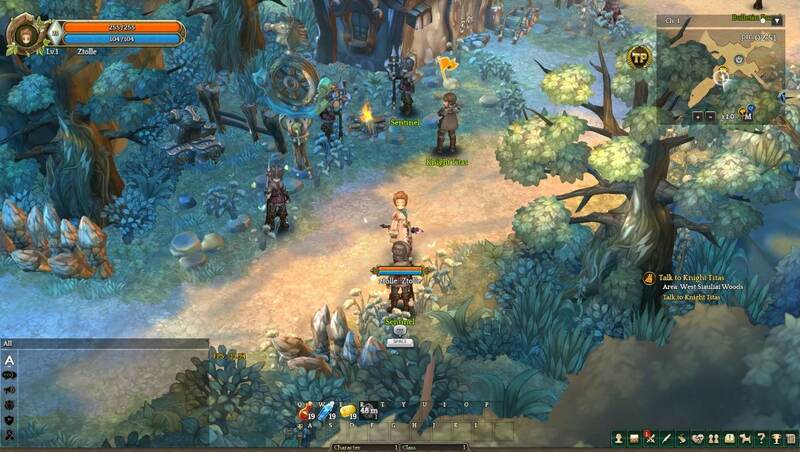 Tree of Savior is a Free to play game that can be found on steam. It’s a simple RPG game that seems to have mixed reviews on Steam so I am going to give my honest take on it here. The download for game shouldn’t take that long. After you click the desktop icon to run the game for the first time, the game has additional installs/updates that need to take place before you actually are able to play the game. What I do like is after the download and updates, every time you start up the game it comes up quickly. Nothing is worse than wanting to play a game and having to wait minutes before the game actually loads and you’re able to play. When the game starts you choose which server you would like to play on which right off the bat tells me that the team in charge of operating this game cares enough to not have overloaded and laggy servers. But, make sure if you plan to play with friends that you confirm you’re on the same servers or you will not be able to play together. You then create a name for your “team” which really does not have a lot of significance due to the fact that I played for a while and didn’t see any use of it again besides when you’re checking your experience level. The game gives you 3 different classes to play from. 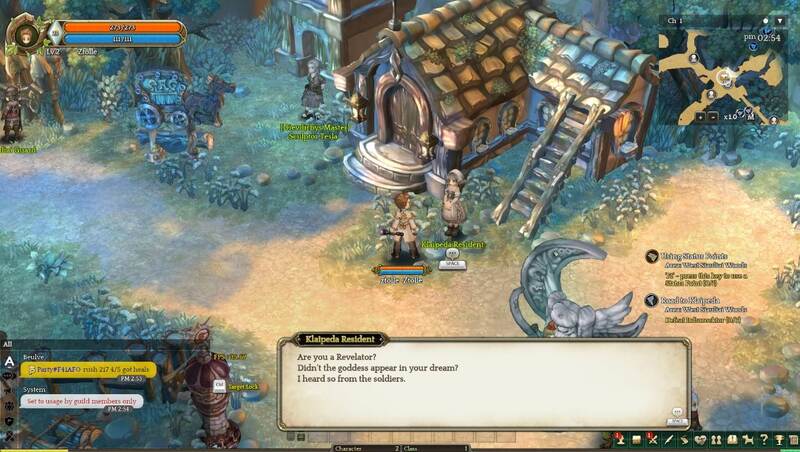 A wizard, an archer, and a swordsmen, all of which have the option in choosing male or female which is an added bonus to appeal to more players. Each character can also be given a variety of different hair styles and you can even choose which of 2 cities you want to start in. One of the best features I believe is that on each class the game shows you their stats, the most important to me being their difficulty level. Let’s talk about gameplay, when you start the game does an amazing job with the tutorial. It is simple enough to where you’re not being overloaded with information that you most likely will not remember and have to re look at the controls again or google how to do something. Also, it is not boring through the first 30 minutes of the game either. I have seen a lot of good and even great games have very poorly designed tutorials that ruin the beginning of the game and make it no fun. The game also adds new abilities throughout the first few levels, but again, it is done well and keeps the beginning story line running smoothly. As far as combat goes the game doesn’t disappoint either. Again, they start you off with basic instructions on how to be successful when fighting in the game. But the more you play, you learn what different attacks and abilities to use in different situations. Another added bonus to the game is the easily to follow map at the top right corner of the screen. 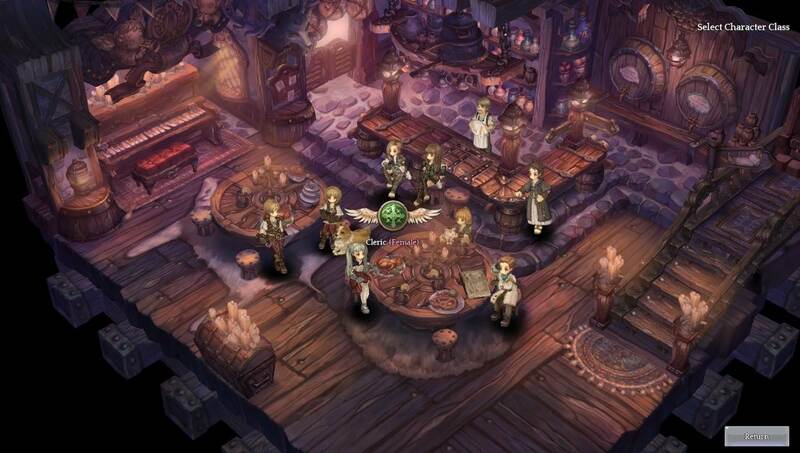 It gives icons that can be used to find key locations around you, one being the locations of NPCs you need to speak with in order to continue on or complete a quest. One of the most surprising aspects of this game is the graphics and design layouts of the different areas. I say surprised because for a free to play game, I have not seen many other games that match up with this games graphics, attention to detail, and overall smoothness the game still has. Each ability has its own distinct look so not to get confused with other abilities and/or basic attacks. I also enjoy the creativity of the armor and weapons your charter can get. Usually, the higher levels and better armor you receive, the better it looks which I enjoy as a new player because you can see the armor some players are wearing and tell if they are a more experienced player because of how the armor looks. But, that’s always not the case because there are some armor items that have great stats, but look worse than the original armor you’re wearing. So now that I have covered the majority of features I really enjoy about this game let’s review the one thing that stands out the most to me that makes me not want to play this game all the time. That is the fact that you can buy “TP” that can be used to purchase items and other things in the game that gives you an advantage. The reason I do not like this at all is because I enjoy trying to be the best at the majority of games I play whether it be a MOBA or FPS or an RPG. I do not think that if I spend 50 hours playing this game to its fullest extent and am very skilled at it, that my gear and ability to prosper should be able to be matched by someone who spent 2 hours playing a game and spent $100 to get the best items and gear. I do not believe that this is 100% the case with this game, but it is still present in the game which makes it kind of disappointing. That being said I understand that the game is free to play and allowing players to buy credits does support the game and keep it afloat. With everything being stated in this review, I still believe this game is awesome. When I first looked at it on Steam I wasn’t sure on what I was getting myself into. That along with the mixed reviews I had my doubts. But by the time I finished the first few quests, I knew that this would be a game I enjoyed and will continue to enjoy playing in my free time. I recommend for all to download and try it because it might be something you find yourself hooked on. And since it is free to play, what do you have to lose? 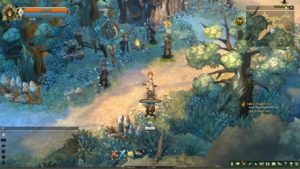 Not really being a gamer – Tree of Savior looks like a good place to start, first of all, free, secondly because of your review I will at least have a head start…thanks!